Fill out the order form and place your order. Note : Pictures will be submitted AFTER your order is processed online. After your order is placed, you will receive a confirmation email with your order number. Please email us your pictures, with the order number. If your design is a custom outfit please include an additional picture of the outfit as well. 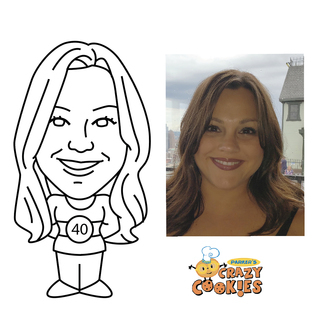 A representative from Parker's Crazy Cookies will respond quickly and you are on your way!! Select a pre-design body from our library of 60 different design. Some of our pre-designed bodies can be customized with your initials, sports team or number. However if you don't see a body that fits your need you can select "custom design" and create your own body for an additional $10 (some limitations may still apply). 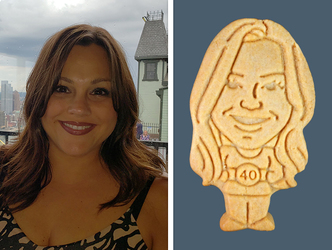 Here's how we'll turn your likeness into fresh-baked goodness. 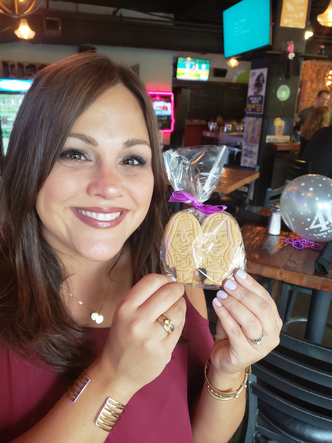 A customer sent us a picture of their wife for her 40th birthday. He selected the Holding the Sign body and requested we include her age. He asked that we give her a small nose. After seeing Proof #2 our customer decided he want to open the eyes instead, return to thin eyebrows, lengthen the hair and make the mouth a little wider. 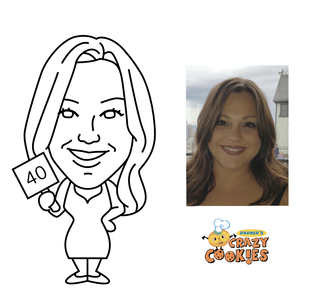 Our Customer loved the sketch. 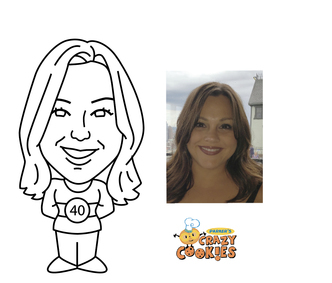 Ready to order a custom cookie of your own?